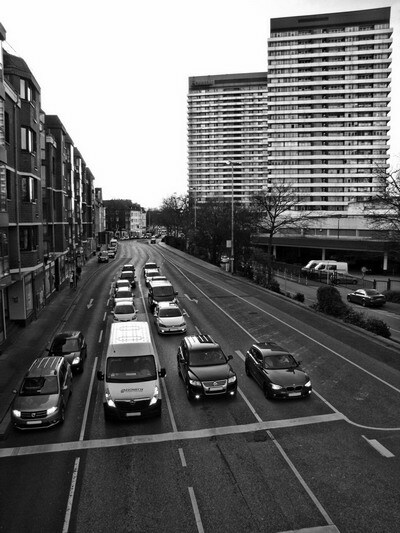 Actually I didn’t want to take this photo again too, but then it all lined up so well – this is looking westwards from the left pedestrian bridge over Mülheim’s Dickswall and if you look closely, you can even see the other bridge far in the distance – which is actually only about 250 meters. 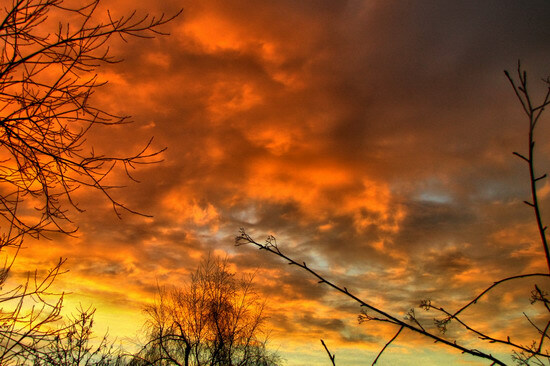 And one more of the fiery skies of January 2. 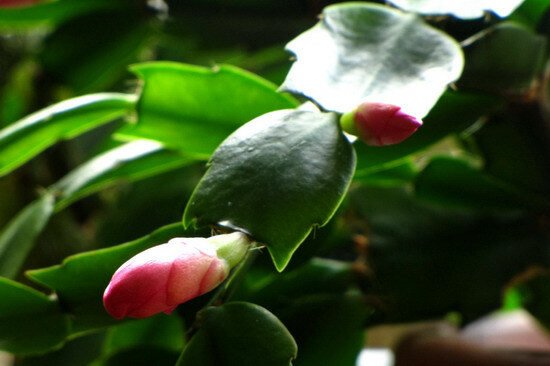 The Schlumbergera blossoms are only growing very, very slowly in the Winter. 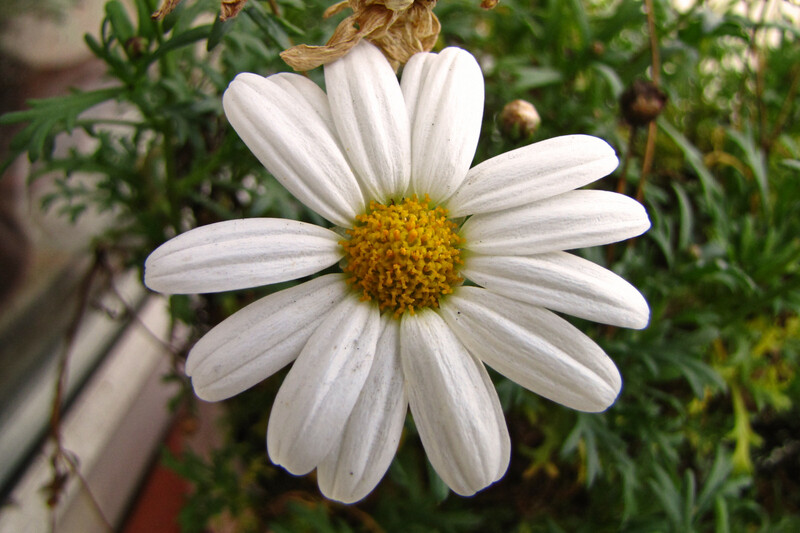 The last Daisy and penultimate Balcony Flower of 2015!